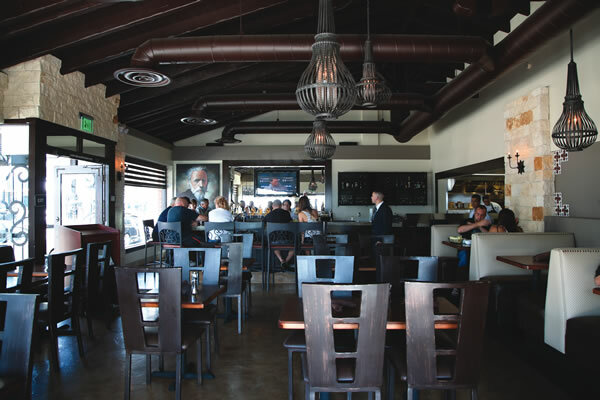 Carmelita’s has all the right ingredients—a great location, an inviting interior, friendly staff and, most importantly, tasty Mexican cuisine. 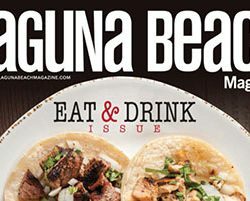 Recently opened, the Laguna location is the second restaurant for owner Clemente Heredia, a third-generation restaurateur. 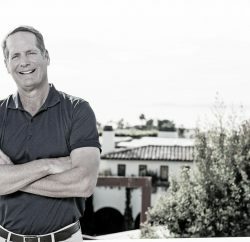 Clemente opened the first location in Rancho Santa Margarita in 2009. After just a couple of months in business, Carmelita’s is packed for dinner seven days a week. Clemente credits his locals-first emphasis. “They’re my foundation for everything,” he says. The restaurant will change as needed to meet the desires of the locals, he promises. The staff is also an important part of that equation. By our second visit to Carmelita’s, they knew our names. “They’re just trying to make the experience better,” Clemente comments. 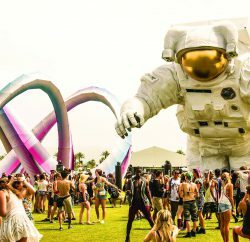 He explains he has a rigorous interview process and seeks out a service-oriented staff with just the right personalities. That same attention to detail applies to the food, and Clemente monitors the quality of all ingredients. And while the food is authentic, Clemente says he’s not afraid to use new techniques with old favorites. 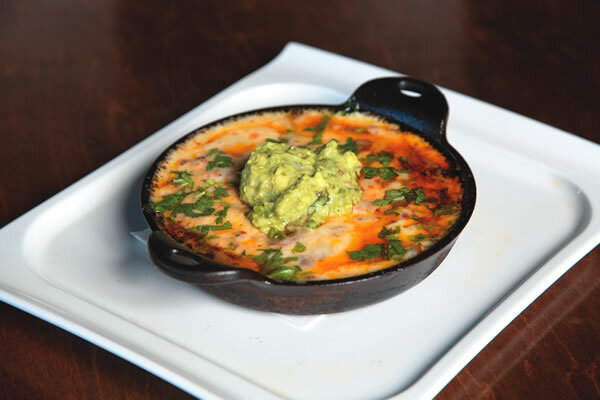 Cheese lovers can start off with the queso fundido made with pico, bacon, chorizo and topped with guacamole. Love shrimp? Order the taquitos de camaron with plump shrimp wrapped in a crispy shell and topped with salsa and chipotle aioli. 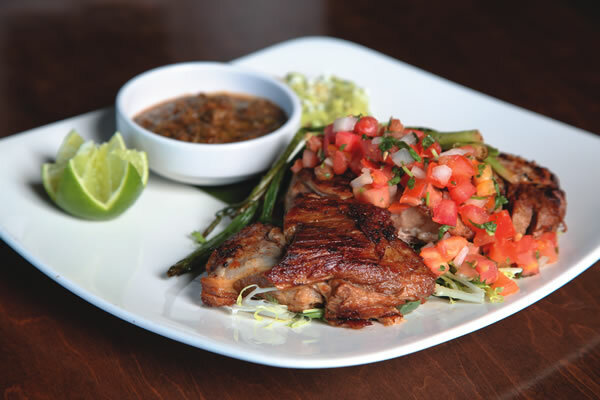 Meat eaters flock to the carnitas as a favorite entree, featuring Snake River Farms prime Kurobuta pork. In addition to the items on the regular menu, vegetarians need only ask, and Clemente and his staff will suggest a plethora of additional vegetarian entrees, plus vegetarian beans and rice. The spinach enchiladas are flavorful, rich but not too heavy. Tequila and margarita aficionados will appreciate Carmelita’s selection. Clemente only uses old school tequilas made with traditional methods and even stocks a label custom made for Carmelita’s—no mass-produced tequila here. For a traditional margarita, the Carmelita’s “Original” is a favorite made with their first tequila from the Hacienda de Oro. Handcrafted margaritas also include the grilled pineappleand the cilantro cucumber.